WOW! 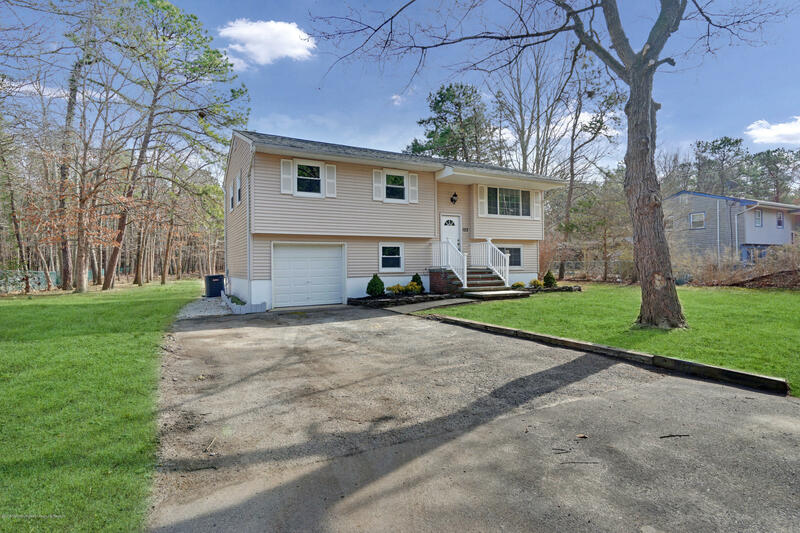 Completely renovated home on extremely large lot on quiet block in beautiful Jackson NJ. Home boasts 4 bedrooms, 2 stunning remodeled baths, large brand new kitchen with granite counter tops and all new stainless steel appliances. The open floor plan and hard wood flooring throughout the upper level gives the home an airy and spacious feel. The long list of brand new includes new roof, windows, plumbing, electric, septic and much more. The lower level of the home features a laundry room and large family room. Step outside and admire the large deck and huge backyard which will be perfect for entertaining. Conveniently located near major roadways, the Jackson Premium Outlets, and other shopping centers. RUN THIS ONE WILL NOT LAST!! !